Win a Book! Autographed Copy of Kelvin Ang's "Got Kids, Go Where?" 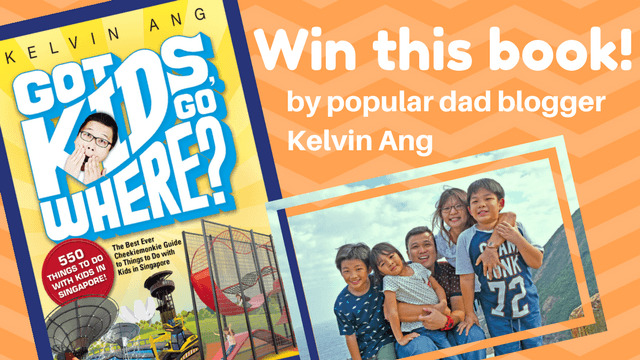 Be one of two (2) winners of an autographed copy of Kelvin Ang's "Got Kids, Go Where?" (Second Edition)! To join this giveaway, simply click "Participate Now" to enter your name and contact details. Prize is available for pick up at Tickled Media office in 71 Ayer Rajah Crescent #05-14 Singapore 139951. For inquiries, contact us at tel. +6563442865 or email info[@]parenttown.com. For more info on Kelvin Ang's book, click here.